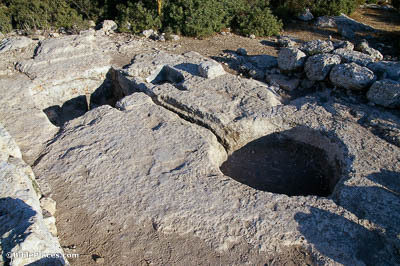 A man planted a vineyard and set up a wall around it and dug a vat for the winepress . . . (Mark 12:1) A full harvest of grapes was a heavy thing to transport, so winepresses were typically built near the vineyards themselves, minimizing the travel distance. 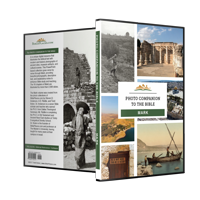 They were dug straight into the rock, with this example including a drainage channel to collect the juice.
. . . and built a tower, and let it out to husbandmen, and went into another country (Mark 12:1). 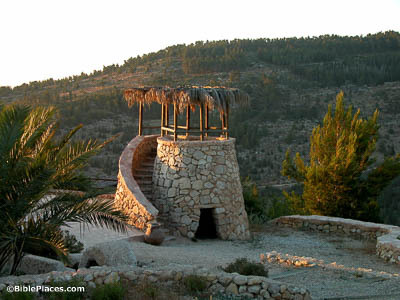 In addition to a wall and a vat for the winepress, a well-built vineyard would also need a watchtower. Though it may seem excessive, this was actually necessary to defend from theft (both human and animal) around harvesttime. The stone which the builders rejected, the same has become the cornerstone (Mark 12:10). There are multiple examples of stones rejected from ancient building projects. 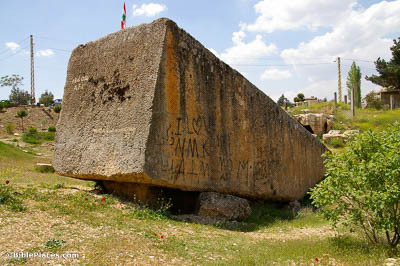 This one in Lebanon, known locally as Hajjar el-Hibla, “Stone of the Pregnant Woman,” weighs over 1000 tons. Still connected to bedrock, this stone was never even removed from the quarry, though the reason why is still unclear. Bring me a denarius . . . Whose image and superscription is this? 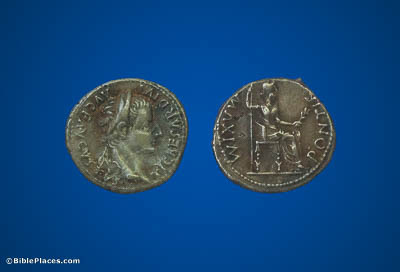 (Mark 12:15-16) Just like much money today, ancient coins were often printed with the portrait of the current ruler. This denarius, minted during the time of Jesus’s ministry, has the face of Tiberius with the inscription, “Tiberius Caesar, son of the divine Augustus, Augustus.” The coin Jesus used to make his point may well have been this very type. He sat down opposite the treasury and watched how the people put money into the treasury. Many rich people put in a great amount (Mark 12:41). 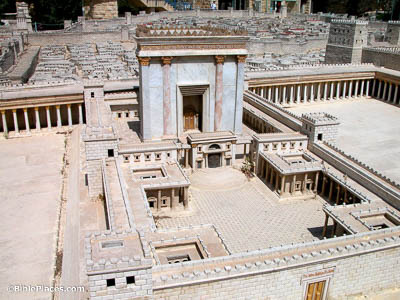 This scene took place in the Court of the Women, an open area to the east of the Temple. It was accessible to all Jewish worshippers, who could place their coins in dedicated funnels to donate them. Men could give their gifts as they passed through to the inner court, while women (including the widow in this account) would continue their worship here. A poor widow came and put in two lepta, which equals a quadrans (Mark 12:42). 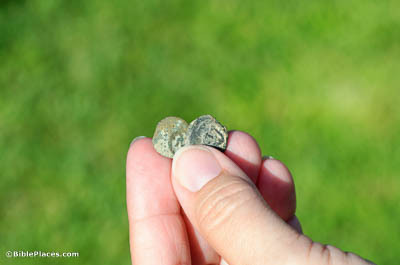 Even looking at these coins, it’s easy to tell that they weren’t good for much. Worth only a 64th of a day’s wage, these crudely minted “widow’s mites” were the most common coin in Jesus’s time by a ratio of 1000 to 1. In fact, they were so plentiful that even modern museums regard them as having little value.